Wooden shoe made to order. 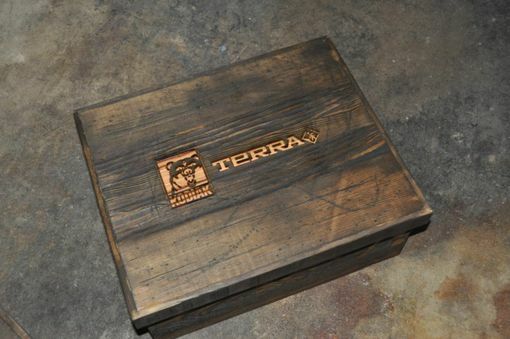 These boxes were made to a distressed look with the companies logo laser engraved on top. Each box was made to a specific size using Doug fir. 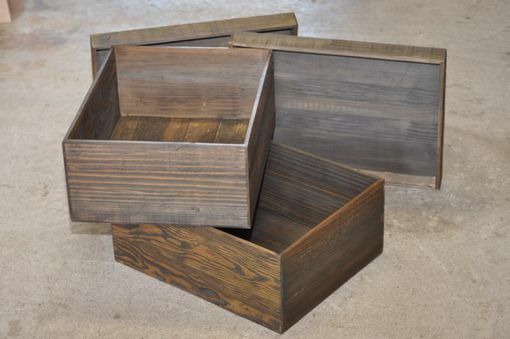 Once boxes were complete the rustic wood stain was added and then given clear coats of lacquer. 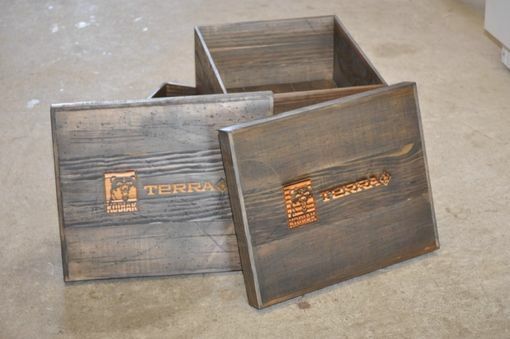 These boxes can be made to order with your shoes in mind . All I would need is the size of box you need even if your not sure on size I can help.